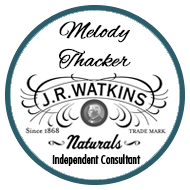 by Melody Thacker, in News, Watkins Sales & Special Offers Comments Off on Who Loves To Party And Get Free Stuff? Who loves to party and get free stuff, like Watkins products? Partying with your friends is always fun, when everyone receives freebies that makes it even sweeter! I love getting together with you and your friends, sharing tips and ideas to make your life simpler or better. Our in person socials are the bomb, you and your friends will love trying out our products and I reward you the host, very generously. I’ve got a new way to party! It’s for busy people who are digitally connected and love socializing online! The most popular place to hold a party online is FaceBook. Who’s not surprised? If you are one of the many people who enjoys connecting on facebook, this party option is for you! A FaceBook party is fast, fun and so easy! Host a facebook party, it’s easy, fast, fun and rewarding. So how does this work? You pick the day and time, put together a guest list and I take care of everything else. Everyone meets up for your live party right on facebook! We know everyone’s busy so it all happens in 30 minutes, yes only half an hour! You and your guests chat, check out our products and get some great tips. Plus I also have prizes and special deals. Everyone loves free goodies, right? I help you with your invites and find it works best if you stick to inviting your local friends and family since the party orders will be delivered to your home. Your out of town guests are welcome to attend and order, if you can get their orders to them. Keeping it local means your guests will enjoy lower shipping and you’ll receive more host rewards. My friends (hosts & their guests) are raving about how easy and how much FUN these FaceBook parties are! Not on Facebook? No problem we can accommodate you and your friends in my online party room. This allows your guests to attend on their iPad, Android or computer plus they have the option to call in to join your party! They can even post questions and comments by text chat so no one is left out of the fun. Webcams are an option too. This is a great option for hosts who have friends and family in a number of locations who aren’t as digitally connected, your guests don’t even need to be on the internet to attend since they can attend by phone. Orders can be shipped to you, the host if all the guests live near you or to anywhere in Canada and the US. Important note: host rewards for parties with orders shipped to multiple locations are limited to 10% of your party sales. What do I get for hosting a party? When you host a qualified party in your home or online you receive 10% of your party sales in FREE Watkins products of your choice. A qualified party is a minimum of $200.00 in sales. Plus I like to reward my hosts with a little something special for booking and holding her party. What are my party options? In person Social – get together with friends and family in your home for an hour or two! Facebook Party – 30-45 minutes of fun and prizes, held right on facebook. Catalog Party – you collect orders from your friends. Online Party – 30 to 50 minutes of fun and prizes held in our online party room &/or by telephone. Why should I host a FaceBook or online party? They are less work than a traditional home party, they also take less time and you can invite more people because you aren’t limited by space. no house cleaning required, or food to prepare (we do bring the snacks for your home parties though) and no clean up afterwards! you don’t need to dress up, do your hair and makeup! your guest don’t need drive to your house, or get a baby sitter! you and your guests get free stuff! Are you ready to party? Great! Call me toll free 1-866-452-6948 or for a FB party message me on Facebook here. Request a catalog so you can make your wish list and show your friends!